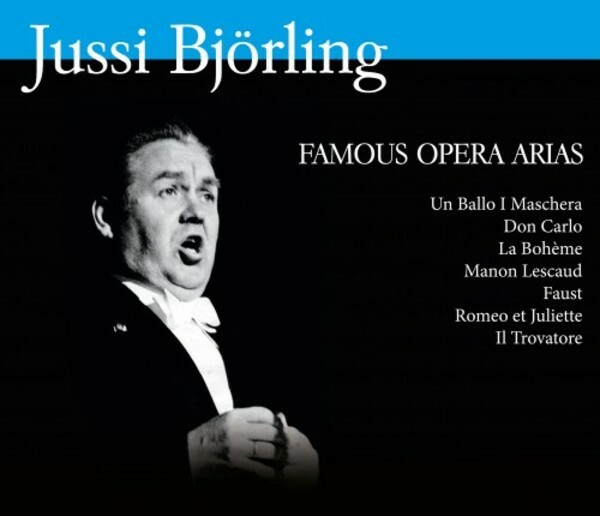 Famous opera arias with Jussi Björling (1911-1960), one of the greatest tenors of all time, recorded at the legendary Metropolitan Opera House in New York when he was at the peak of his career in the 1940s and 1950s. The box set contains arias from operas like Il trovatore and Don Carlo by Verdi, La bohème and Tosca by Puccini, and Gounod’s Roméo et Juliette - and much more. Björling’s counterparts in the different opera scenes are represented by celebrated singers like Bidu Sayao, Robert Merrill, Frank Valentino and Elisabeth Söderström, among others.